Lindsay Kyte profiles five people who offer Buddhist wisdom to people who are dying and those close to them. 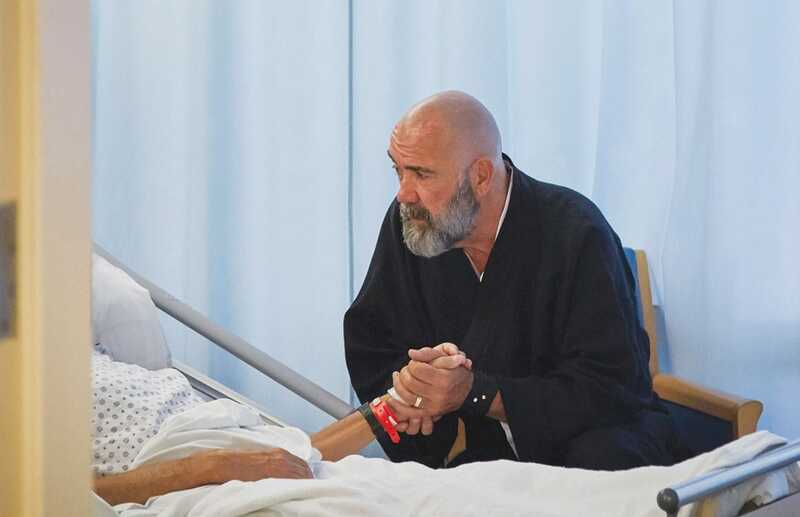 Zen practice helps Koshin Palley Ellison (center) and Robert Chodo Campbell (right) stay with whatever unfolds as they care for those who are dying. Here they share a laugh with Ronald Getter. Photo by Nicole Craine. I didn’t know what to do. 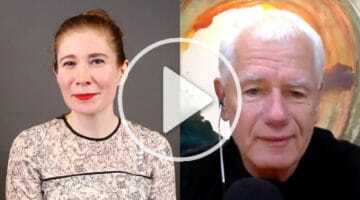 I was at the New York Zen Center for Contemplative Care to talk with Koshin Paley Ellison and Robert Chodo Campbell about their Buddhist approach to end-of-life care. But they were dealing with death right in front of me. “One of my dear friends is dying right now,” Koshin had just informed me, with tears in his eyes. “Oh… I’m so sorry. We can reschedule if this is a bad time?” I offered, wishing I knew the right words to say. This made them both smile, and Chodo reached for my hand. Death is the most important spiritual teaching. Their beloved friend, the Buddhist teacher Michael Stone, was in a coma and was expected to die, which he would three days later. The two Zen priests, along with many others in the Buddhist world, were in deep sorrow about losing him. Yet as I spent the day with Koshin and Chodo, we went through many states of being. We cried. Chodo sang show tunes. They showed me their “bling”—new rings from their wedding in June. We sat in silencdoe after they told the stories behind the photographs on their altar. We ate excellent dumplings. Yet during each experience, Koshin’s phone would ding with a text about Michael, and we were reminded that death was in the room with us. Chodo and Koshin met as Buddhist chaplains, and became both romantic partners and partners in end-of-life care. Their idea to start a small hospice house developed into the New York Zen Center for Contemplative Care in Manhattan. 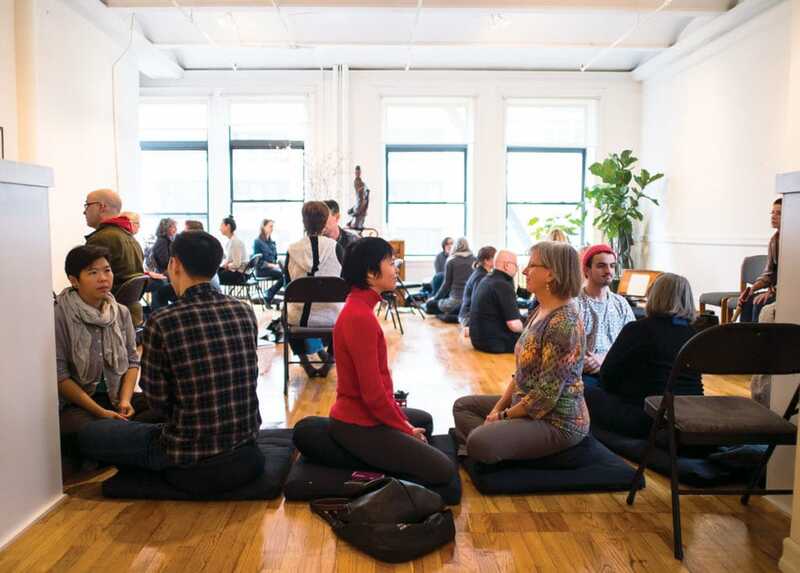 In addition to Zen Buddhist practice and study, NYZCCC offers training in end-of-life care for medical professionals, caregivers, loved ones, and those who are themselves dying. Students in the contemplative care program at NYZCCC. Photo courtesy of NYZCCC. Koshin discovered the woman had spent her life taking care of her parents. After they died, she was diagnosed with stage four ovarian cancer and her husband left her. “Of course she was angry!” says Koshin. “We got to explore that she had never really been able to be angry. It was actually enlivening to her, the feeling of anger. It felt good. “There is no single definition of death,” Koshin says. “Caring for someone who is dying means allowing them to decide what that is.” Photo by Sean Kernan. Alexandra Gersten-Vassilaros says no one wanted to say the “d-word” when her husband John was dying. A friend suggested that Gersten–Vassilaros contact Chodo. Although she was initially resistant, she was exhausted, frightened, and yearning for someone to lead them through these unknown waters. Though not a practicing Buddhist, Gersten–Vassilaros reached out to him. “The minute I met Chodo, I felt infinitely safe and provided for. I knew that his gentleness and strength were exactly what my husband would respond to,” she says. Chodo first spoke to John alone. Chodo has never revealed to Gersten–Vassilaros what they talked about, but she saw a change in John after that. What Chodo offered was an invitation to have a sublime experience — one that could hold a spectrum of emotion. “There was a lot of grief in me, and I would beg him to stay, saying, ‘How am I going to be okay, how will I do this?’ And he’d say, ‘You will, you will.’ Then one day he said, ‘Not my problem anymore.’ This is a person who was Mr. Fix-It, so it was great for him to say that, because it was true. I think Chodo gave him that language—that’s nothing he ever would have said before then. “Chodo gave John permission to die. Then we invited in the boys to talk, all of us. Chodo said, ‘It’s time. It’s time to believe that this passing will occur.’” Gersten–Vassilaros says Chodo opened their hearts when “that which isn’t spoken” suddenly was spoken. Three weeks and three meetings with Chodo later, John died. Gersten–Vassilaros says it was an undeniably beautiful experience. Chodo had advised the family on washing the body, and had given them a piece of fabric to wrap John in. “My husband was so thin that he was wearing my little son’s shorts and my middle son’s top. 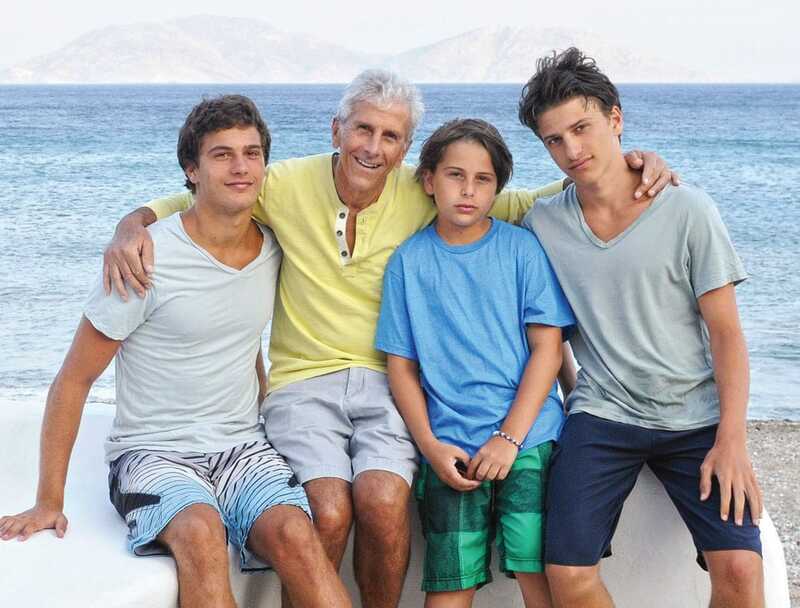 Alexandra’s husband John with their sons Tonio, Stefano, and Luka. 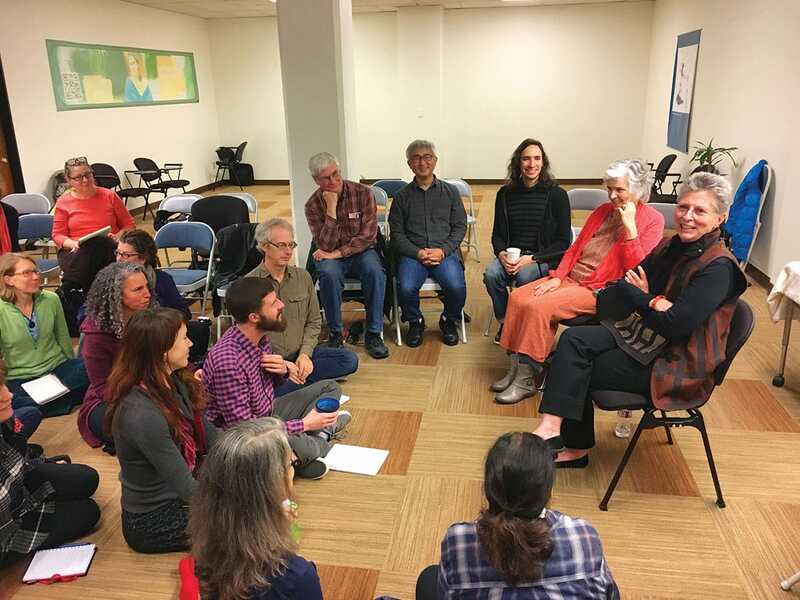 Gersten-Vassilaros now leads a writing group for healing and grief at NYZCCC. She says we resist moments when we think our hearts are going to break, but what really happens is that our hearts break open. The Zen Hospice Project in San Francisco was the first Buddhist hospice in the U.S. “None of us know what we were doing,” Frank Ostaseski says. “We just started taking care of each other.” Photo by A. Raja Hornstein. In the 1980s, Frank Ostaseski saw that some people had nowhere to die. “In San Francisco, 30,000 people were diagnosed with HIV,” he says. “We were ground zero for the epidemic in the United States. 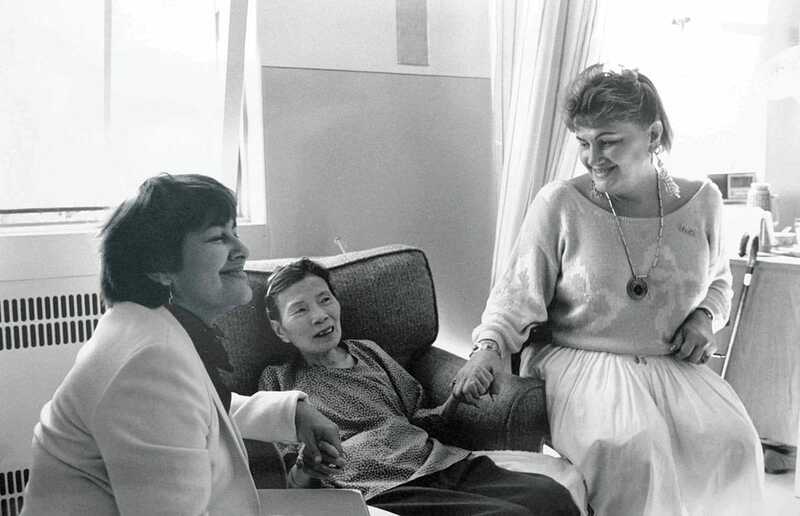 Most traditional hospices at the time didn’t accept people with AIDS.” Ostaseski, then a home health aide and member of the San Francisco Zen Center, stepped in to help. Frank Ostaseski has distilled the wisdom he’s gleaned from caring for thousands of people who are dying into the five invitations to live more fully. Photo by A. Raja Hornstein. 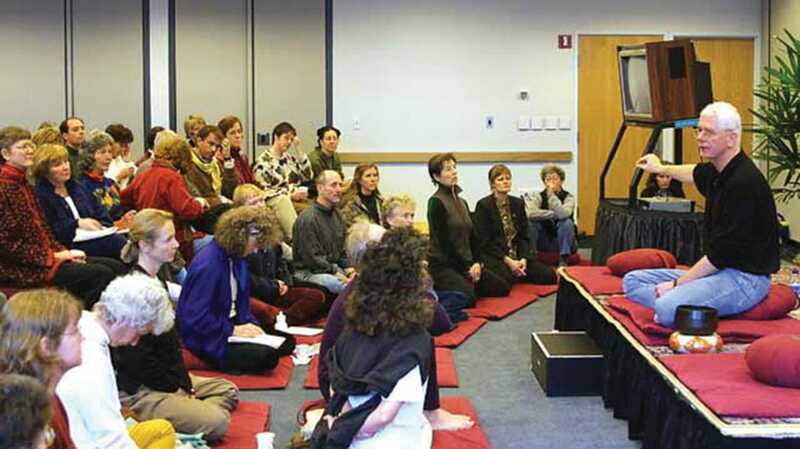 The Zen Hospice Project became a model for other Buddhist-inspired care facilities. It provided volunteers for the Maitri Hospice, which was started by Issan Dorsey, a drag performer, former drug addict, and abbot of the Hartford Street Zen Center. 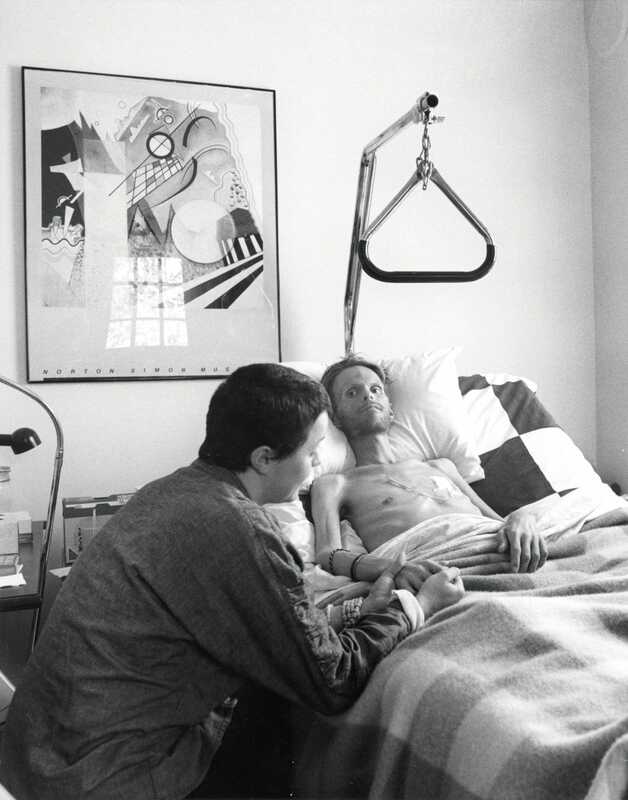 Maitri Hospice provided care for gay men dying of AIDS, including Issan Dorsey himself in 1990. Welcome everything; push away nothing. Find the place of rest in the middle of things. One of the unique things about the Zen Hospice Project was that all of the caregivers had a spiritual practice. Photo courtesy of Zen Hospice. Ostaseski is not romantic about dying. “It is hard work,” he writes. “Maybe the hardest work we will ever do in this life.” What he has discovered makes a good death, whatever that means individually, is the willingness to live in the deeper dimensions of what it means to be human. 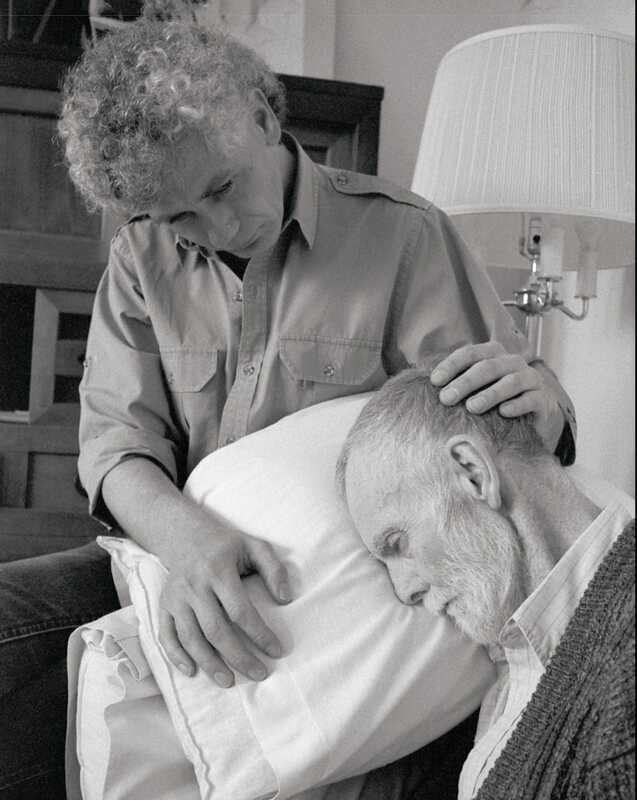 The Maitri Hospice, founded by Issan Dorsey and the Hartford Street Zen Center, care for gay men at the height of the AIDS crisis in San Francisco in the 1980s. Photo by Morgan Alexander. Mindfulness: being present with every aspect of every state of being. Ostaseski says he has seen positive changes in end-of-life care over the decades, including a willingness to talk about death and more choices available for how people can die. Zen teacher Joan Halifax saw the gap where medicine and humanity did not meet and worked to rehumanize end-of-life care. Photo by Noah Rossetter. As a faculty member of the University of Miami School of Medicine in 1970, Joan Halifax decided there had to be a better way to die. “One thing that continually concerned me was the marginalization of people who were dying, the fear and loneliness they experienced, and the shame and guilt that touched physicians, nurses, people who were dying, and families as the waves of death overtook life,” Halifax writes in her book Being with Dying. “I sensed that spiritual care could reduce fear, stress, the need for certain medications and expensive interventions, lawsuits, and the time doctors and nurses must spend reassuring people, as well as benefit professional and family caregivers, helping them to come to terms with suffering, death, loss, grief, and meaning.” Thus began Halifax’s quest to rehumanize the end of life. Halifax is now a respected Zen roshi and founder of the Upaya Zen Center in Santa Fe, New Mexico, which offers training in end-of-life care. After almost fifty years working in the field, she has seen the gaps where medical care does not meet humanity—not only for the patient, but also for the clinician. Buddhism has more resources for dying people than any of the other traditions that I’m currently aware of. 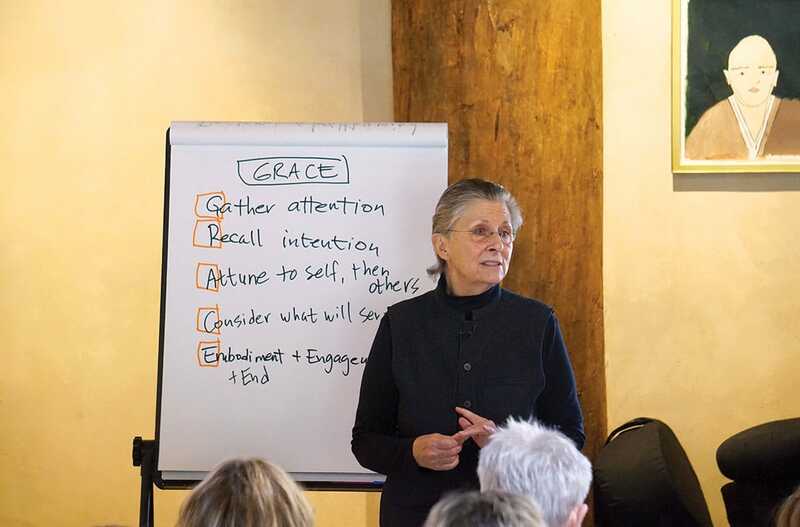 “The Buddhist traditions offer contemplative technologies that are profoundly helpful in supporting us not only in living, but also in dying.” Photo courtesy of Upaya Zen Center. Language can loosen the knot that has tied a person to the hard edge of fear and bring them home to compassionate, heart-opening truths. Halifax acknowledges language does play an important role in end-of-life care. “Language can be a distraction and a way that we push away intimacy. But language that is authentic, honest, unprescribed, spontaneous, and about connecting can be very important for both the caregiver and the person who is dying. Language can loosen the knot that has tied a person to the hard edge of fear and bring them home to compassionate, heart-opening truths.” Halifax says language and silence are sister gifts we can use to prepare us both for dying and for caregiving. At NYZCCC, Koshin confessed to me that the night before, when he got the call from Michael Stone’s wife, he didn’t know what to do. Robert Chodo Campbell says that sometimes what is needed most is simply to acknowledge that death is in the room. Photo by Sean Kernan. “I wouldn’t have thought that was what was needed,” Koshin marveled. “I have lots of skills to offer, but what was needed in that moment was just to hold the whole thing in my heart, because we were loving friends. As I left NYZCCC after a day of sorrow, stories, learning, and laughing, I realized that I knew only one thing for sure. That I too didn’t know what to do when death met me at the door that morning. And starting with not knowing, when facing death, is perfectly okay.